What is Energy Law and how does someone become an energy lawyer? Energy law offers a dynamic and diverse legal practice, but because it is a niche practice area, it can often be challenging to break into the profession. Thus, your job search strategy needs to be well planned and must include a heavy emphasis on internships and networking. Begin building relationships early. Follow the strategic steps below to prepare for a career in energy law, and remember that the Office of Career and Professional Development is here to assist you. What are Energy and Climate Law? Energy is a broad part of the law that encompasses a wide range of practices areas. These include policy, regulatory, legislative, litigation, transactional, and international practices. These practice areas serve the electric, oil, gas, water, government, nonprofit, renewable, tech, and university sectors. Depending on the practice and client, an energy attorney may perform work ranging from regulatory filings before a government regulator, property right evaluations for natural resource extraction, or the negotiation and drafting of a contractual agreement for products, services, or major investments in the U.S. and/or overseas. Climate law encompasses many of the same practice areas and industries as energy law where a client is subject to or voluntarily subjects itself to regulation. The climate practice may include advising clients on the implications of specific regulations, making regulatory filings, or performing enforcement work as a regulator that can result in litigation or administrative fines for violations. The University of San Diego School of Law recognizes the growing need for attorneys in the domestic and international energy and climate change practice areas. The following courses are offered and may be used to meet Energy and Environmental Law Concentration requirements: Energy Law and Policy Class, Energy Law and Policy Clinic I and II, International Energy Law, Climate Change Law and Policy, Environmental Law, Land Use Regulation, Administrative Law, Public Interest Law & Practice, and Public Interest Law Clinic. The Energy and Environmental Law Concentration requires completion of 18 credits with a grade point average in concentration courses of 2.5 or higher. An application must be submitted in the spring of your graduation year (by April 1) to receive the certification and transcript notation. Tip: Plan ahead. Review the available classes (they may not be offered each semester). Meet with your academic advisor in Law Student Affairs to ensure you make room in your schedule for energy law courses. Joining the Environmental Law Society and the Real Estate and Land Use Society here at USD Law, and other off-campus community environmental and energy law organizations, is both productive and enriching. You will meet other students with similar interests as well as USD Law alumni and other lawyers who are currently working in the field. You will gain exposure to the latest legal issues and happenings. You will meet a network of potential mentors who can share their wisdom and possible energy law job openings with you. Volunteering at club meetings, receptions, conferences, and events is also a way to take a break from your studies, enjoy a little social time, and build your professional relationships. Tip: For a list of energy law organizations, see Appendix A. Memberships are often free or discounted for students. Many organizations maintain a job listing for members as well as an upcoming events calendar. Identify and make an appointment to speak with USD Law professors who teach energy law and related areas such as environmental law and administrative law. They have practiced in the field and are very knowledgeable about the industry. Because energy law encompasses a variety of different industries and legal issues, your professors can help you narrow down your interest and guide you in the right direction. Tip: For a list of professors, see Appendix A. If you have a genuine passion and demonstrated interest for energy law, let your professor know. Professors are happy to mentor such students and it is not unheard of for professors to recommend their mentees for job opportunities. Gaining legal experience through law clerk positions, internships, and clinical opportunities and externships for academic credit allow you to gain real-world legal experience as a student. Take the opportunity after your first year to gain hands-on skills and practice. It demonstrates to future employers your proactive dedication and qualifications for summer and post-graduate work. It will also boost your confidence that you have professional experience that will be of value to employers. EPIC also sponsors the Energy Law and Policy Clinic, a unique opportunity for USD Law students to work in partnership with a related state agency to conduct legal research on a topical issue. The Energy Law and Policy Clinic seeks to match a small group of students who have taken Energy Law and Policy or Climate Law with a state agency to conduct legal research on current, relevant issues. Students interact directly with agency counsel and/or staff to develop a legal memorandum or similar report to present to the agency at the end of the semester. Students who take the Energy Law and Policy Clinic also learn a range of practical skills, including client management, ethics, and advanced writing and research. Student travel to Sacramento or San Francisco to present their findings to a group of agency staff at the end of the semester. In past years, the Clinic has worked with California’s Air Resources Board, Energy Commission, and Public Utilities Commission. EPIC provides opportunities for students to conduct research in the energy and climate law area. Examples of such work include legislative tracking, litigation tracking, and regulatory and legal research projects. The Journal of Climate and Energy Law (JCEL) offers students the opportunity to join a journal that publishes climate change and energy articles after their first year. The annual Climate and Energy Law Symposium is co-hosted by EPIC and JCEL each November. This event brings together legal and policy experts from across the country to discuss relevant climate and energy issues. Search for and connect with USD Law alumni currently working in energy law. Check the Professional Network Directory on Symplicity or conduct an attorney search on Google, Martindale Hubbell, Lexis, and Westlaw. 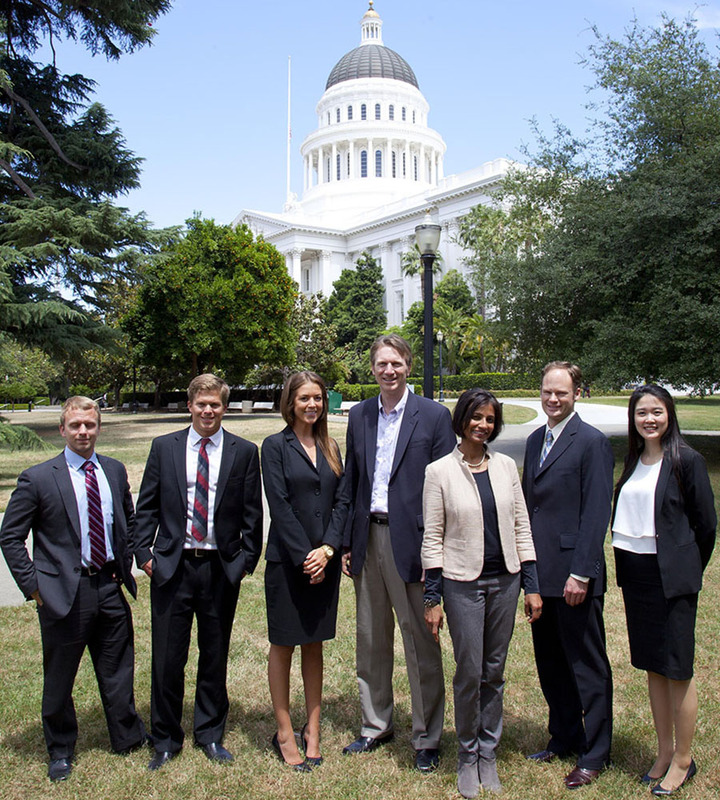 At energy law organization events, you can meet many other lawyers practicing in the field. Introduce yourself as an aspiring energy lawyer and start building professional relationships. Reach out and arrange informational interviews to learn about their work and journey to a career in energy law. Tip: Get organized and keep a spreadsheet of each person in your network. It will make it easier for follow up in the future. Make a goal to contact several people a week for informational interviews and/or to attend networking events. Set calendar reminders to stay on track. We will help you create a personalized job search strategy and draft an energy law resume and cover letter. We also assist you in developing yourself professionally by perfecting your elevator pitch and networking skills and by preparing you for interviews. Imagine how much easier it will be to apply for jobs when you have your resume and cover letter ready and you can market and present yourself as an aspiring energy lawyer. Tip: Sign up for a counseling appointment on Symplicity. If you followed Steps 1-6, then hopefully this final step will be much easier for you. You are more likely to discover unique job opportunities through your knowledge, experience, and a network of energy law professionals. We recommend, however, that you also conduct your own independent job search. Online job search: View job postings on Symplicity and other energy law resources. Search online for energy law firms, companies, agencies, and government offices as energy lawyers work in many different settings. Conduct a separate search for jobs in the specific industry you are interested in (for example, electric, oil, gas, technology, etc.). Many offer internship and employment opportunities on their career websites. If jobs are not listed, contact their human resources department and ask about possible openings. You would be surprised at how many companies simply do not list their positions online. Leverage your personal background: Your interest in energy law likely comes from personal/professional experience in energy. Use it to your advantage as you network, connect with colleagues, and draft cover letters. Be prepared to move geographically: Some cities are better job markets for energy law jobs than others. For example, state capitals and Washington DC are great for regulatory practices in energy law. It is best to keep an open mind about possibly having to move for that dream job. Be patient with yourself and diligent with your search: Searching for a summer job or post-graduation position is a lot of work and requires patience. Don’t lose your momentum in reaching out to new contacts and touching base with those whom you’ve already created a relationship. Keep looking, cast a wider net for different, yet relevant, jobs and stay diligent in your search. If you feel you’ve hit a wall or need new ideas, OCPD is always available to meet with you to brainstorm new strategies. Search also for stepping stone opportunities: Remember that energy law is a niche legal area, but it encompasses a wide variety of legal practice. Accordingly, keep an eye out for positions that may not necessarily be in energy, but will still teach you the relevant skills and give you experience for a successful energy law career. See Appendix A for career paths in energy law. It may take time, but as long as you are gaining relevant experience at your job, you are still making it possible to get your dream job in energy law. You should now have a good idea of how to begin exploring and researching your career path to energy law. There are plenty of opportunities, at USD Law and beyond, to pursue professional development and skills training in this interesting area of the law.